Esports, a form of competition using video games, is growing quickly in popularity. In fact, these organized, multi-player video game competitions have become so popular that there are professional teams and world-wide tournaments. The Kiwanis Club of Las Vegas Young Professionals saw the potential of utilizing esports as a platform to unite their community and reward the students in their local schools for their academic achievements. 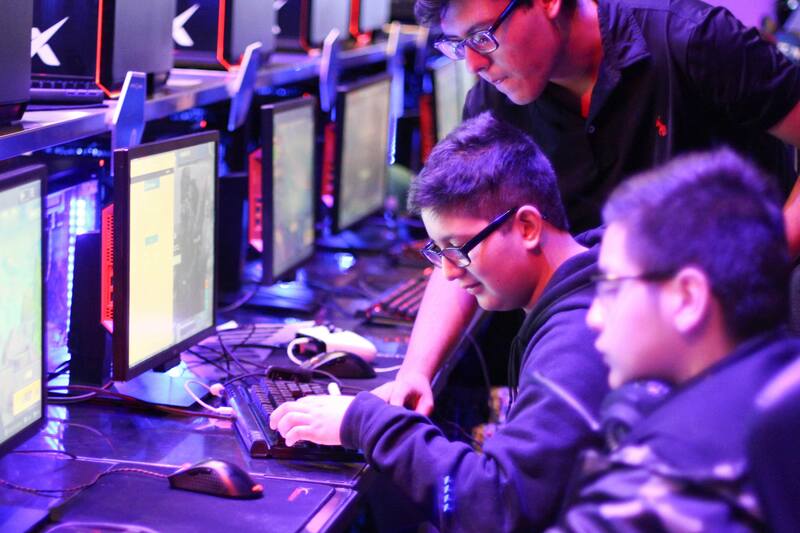 That’s why on November 6th, 2018, these Kiwanians hosted an esports tournament at the Esports Arena Las Vegas to recognize Clark County students for their academic success. To participate in the esports tournament, students presented their report cards showing As and Bs and completed a registration form to pledge future academic achievement. “We used an identified want – video gaming – to entice students to want to do more with their education,” says Rachel Ong, a member of the club. Gift bags were presented to more than 100 students upon entry, and a scavenger hunt also took place alongside the gaming tournament. A $600 prize pool was divided among the top gamers in the tournament. Representatives from the University of Nevada, Las Vegas and other organizations were also invited to introduce students to different opportunities in the video game industry and in higher education. This unique and first-time event was a massive success for the club. “Because this was our first event of its kind, we went in with the mindset of it being a one-time event. However, due to its immense success, the satisfaction of the attendees, and the commitment of our partners to support in the future, we see this project growing and continuing to serve our youth and community, potentially twice a year in conjunction with the academic school schedule,” shares Rachel.